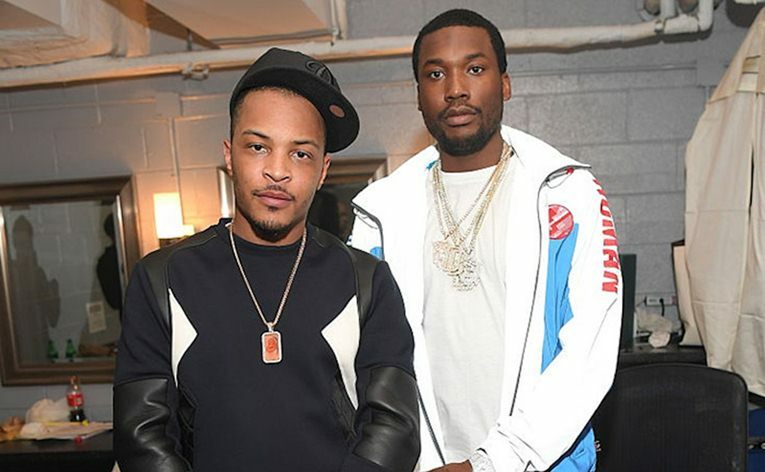 Not the matter of T.I and Yo Gotti but one the guy we are about to hear his voice again after he was dismissed from probation felony.Meek Mill is making a new appearance in song JEFE coming from T.I and ‘Wraith’ is as well having Yo Gotti in the single.We also believed that this two songs are coming directly from his upcoming Project.Whats the songs all about,is about their wealth and how they live their celebrity life.They also take their verse to another language which we can hear them speaking Spanish for those who understand Latin. The both guested Hip-Stars come on different bars,exercising their thug and wealth.Meek Mill delivers a smooth lyrics though as usual of his force landing.Below you can stream the songs while we can still wait for T.I The Diem Trap to fall as an album. Meek Mill is gave us a call project last year during the time he was battling with Nicki Minaj and even with Drake.He dropped his album Wins & Losses.Meek also came back this years after his victim was granted out with an EP project “Legends of the Summer” that comes after his last album. As for Yo Gotti ,he is pretty good on T.I's Wraith although you need to see how the songs goes.